This post contains affiliate links. Please see full disclosure here. My family has been going to Disney since our adult kids were 5 years old. We have such amazing memories from all of our trips to Disney. Sadly, however, after the last couple of visits to Disney, we came back home thinking that Disney did not feel as magical as it had the previous 15 years. Analyzing all of our trips we came up with reasons why the magic was fading. No Longer Magical: When my family and I walked through the gates of Disney for the first time in 1998 we felt like it was the most magical place on Earth. As a family, we continued to return to Disney a handful of times and loved every moment of it. Fast forward to 2012 we went back to Disney with our now adult kids plus 3 new members of our family that were under the age of 6. Our experience was a lot different. Hoping that our next experience would be better since our kids would be older, we went back to Disney 5 years later. Sadly, this experience was not as magical as we had hoped. 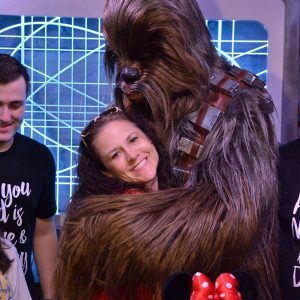 We couldn’t figure out if it was because our younger kids didn’t feel, understand, or appreciate the magic of Disney or if it was because they constantly whined and wanted everything. The first set of kids we raised never whined at Disney and were just happy and appreciative to be there. Of course, as parents, we compared the 2 sets of kids and were extremely sad with how the 2nd set of kids responded to Disney. We always wondered if it was because of how times have changed throughout the years and how electronics have taken over the world or if they were not fascinated because they’ve already seen it all on YouTube. Whatever the reason, it truly makes us sad. My Feet Can’t Handle It: I’m not totally out of shape and I don’t carry a lot of extra weight on me, but the last Disney trip we went on killed my feet. I did everything right by wearing UGGS with at least 2-3 pairs of socks to help cushion my feet, but my feet still burned at every step and especially at night. Hidden Characters: Years ago when we first went to Disney, the characters seemed to be more visible. The characters seemed to be at every corner waving from afar or waiting with their arms wide open. Now you have to use a FastPass and stand in a long line, make meal reservations at a character dining establishment, watch a parade or use the character app locator and hope that you are on the same side of the park as them. This made Disney a little less magical for us. There is Another World Outside of Disney: For so many years our family dedicated our family vacations to Disney. 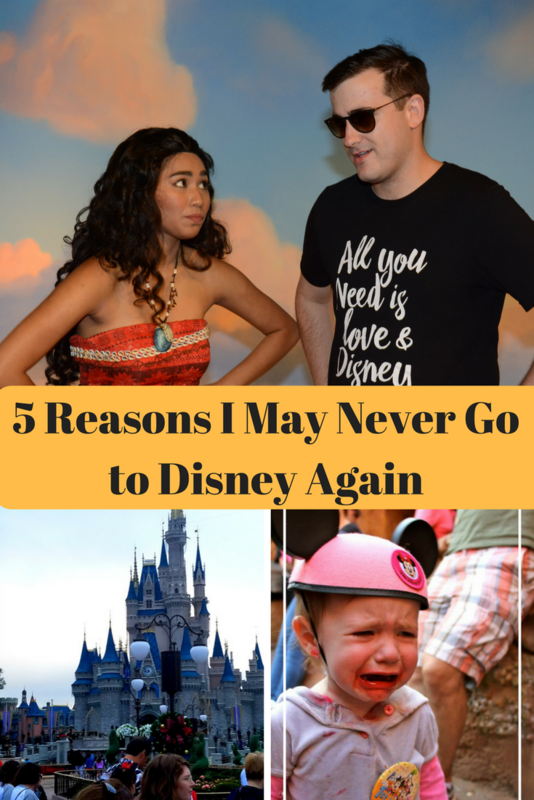 Since a trip to Disney is (ridiculously) expensive, we’d budget carefully and try to go at least every 4 to 5 years. It was uncommon for us to go anywhere other than Disney unless it was somewhere that didn’t cost a lot. We discovered that there was a world outside of Disney when our entire family went on a Royal Caribbean cruise. My husband and I were amazed and in awe the entire trip. Not only was the cost of the cruise substantially less than a trip to Disney but we could relax and had almost no obligations. We didn’t have to worry about lines, FastPasses, where characters were located throughout the park and if our kids were having fun or “tired” of walking. My husband and I were amazed that our children complained very little and kept asking when we were coming back. This Royal Caribbean cruise was our new magic. Of course having unlimited cookies for the kid’s and a drink in each hand for mom and dad made it very magical. 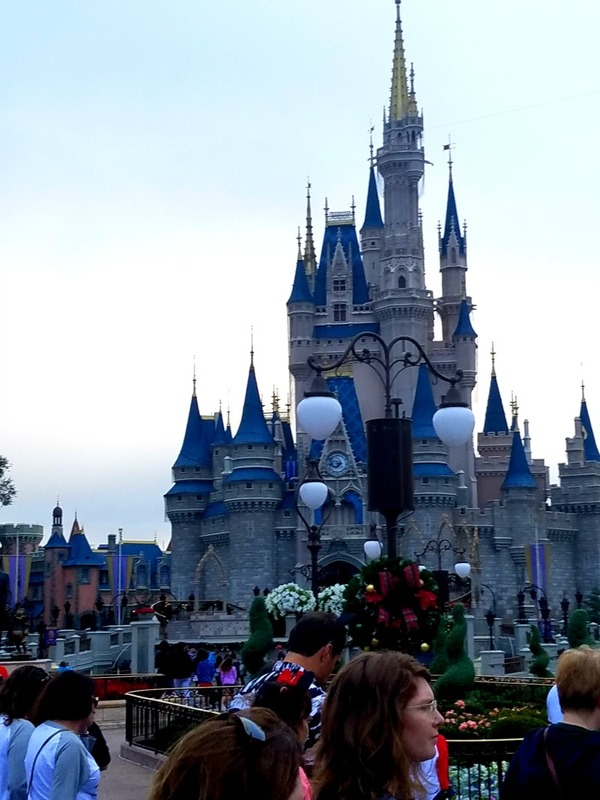 Outrageous Cost That Keeps Rising: I understand that companies need to raise their prices, at times, in order to make a bigger and better park, but I can’t wrap my head around the ridiculous and outrageous price increases that happen at the Disney parks every year. I have to sit back and wonder if this is done based on greed because in 2015 many employees were terminated and being replaced with immigrants who had H-1B visas who in turn are paid less than an American employee. In addition items in the parks are substantially more than on the Disney parks website, soda and water bottles in the parks are close to $3 each, the Art of Animation is a lower end Disney resort but doesn’t feel like it in your wallet and the ticket prices keep soaring every single year. When will Disney realize that greed is not attractive? I understand that so many families continue to flock to Disney, so Disney can continue to inflate the cost of everything and not be affected, but I have to wonder what Walt would say. I am not sure if we will or will not be going back to Disney or if we do when we will go back. Every experience is different, but my hope is that the next time, my girls will be older, I’ll make a little bit more money and the magic of Disney will return. If you love to travel outside of Disney or if you plan on going on a very expensive Disney cruise, you may like What to Teach Your Kids Before Going on a Cruise. We went for Christmas week 5 years ago and had an absolutely magical time. We had fast passes and could keep getting them throughout the day. We saw lots of the characters. The merchandise was so much better. We just got back this past Christmas week, and it was a completely different experience. First of all, it was a lot more crowded. I know Christmas is a high traffic time, but it really wasn’t too bad back in 2013. It was crazy this year! You could hardly move in the Magic Kingdom; therefore, it was not magic.It was a headache. We stayed at the Grand Floridian so we paid a lot of money. The food is ridiculously expensive everywhere. The fast passes were not available after about 10am. Luckily I had at least 3 a day I had already reserved months earlier. But is it worth the $100 plus per family member to ride 3 or 4 rides a day and wait in line after line. Nooo! We spend a total of $12,000 for one week including food, gas, Grand Floridian. We could have gone to Europe for that!!! This is our last trip to Disney for a very long time. YES! It is sad because my husband .. who really doesn’t read my blog… was just talking about this today and said.. he doesn’t see Disney in our future for a very long time if at all. I too love Disney. I last visited on 2017 and noticed my attitude had changed somewhat. It has gotten so expensive to visit and they are constantly adding new fees and ways to make money it’s disturbing. The parking fees at the resorts are absurd I’m assuming they are using them to offset the “complimentary “ bus travel. Walt would roll over in his grave if he knew what Disney is doing now. I don’t mind paying for a good vacation but every year they seem to be taking away any perks there used to be. Taking away the no expiration option was just the beginning. Do you mean they took away the no ticket expiration date? We just returned from our son’s first trip and the whole way home I couldn’t help but wonder if it will end up being our last trip. The prices are outrageous and with each increase or new fee (seriously… Paying for parking at your hotel?!?) I just can’t see us being able to afford another trip any time soon. It makes me incredibly sad. It is getting worse and worse with the cost. I have a trip planned to WDW and I’m honestly a little worried about their reliance on apps-based Fast Passes for everything. It’s honestly stressing me out a bit. We have not been to WDW since 2010 and I’m shocked how much has changed in just seven years. We have been on a Disney Cruise and twice to Disneyland since. I can tell you that Disney magic is alive and well in those two places. We’ll see how I fell about WDW after experiencing Disney on a much smaller and less stressful scale. The new web based app for Disney is amazing! I am amazed by it. You will have fun. I know you will. As someone who loves Disney and obsesses over the day that she’ll take her children there, I loved this post! I haven’t been to Disneyworld in about 5 years or so and I’m sure so much has changed since then! Just reading this made me think about how much of the experience is now being controlled by long waits and dishing out extra cash! I do plan on going with my babies one day (when they’re much older) but I’m definitely going to go in with a more realistic mindset! Thanks for this post!! As someone who loves Disney and obsesses over the day that she’ll take her children there, I loved this post! I haven’t been to Disneyworld in about 5 years or so and I’m sure so much has changed since then! Just reading this made me think about how much of the experience is now being controlled by long waits and dishing out extra cash! I do plan on going with my babies one day (when they’re much older) but I’m definitely going to go in with a more realistic mindset! Thanks for this post!